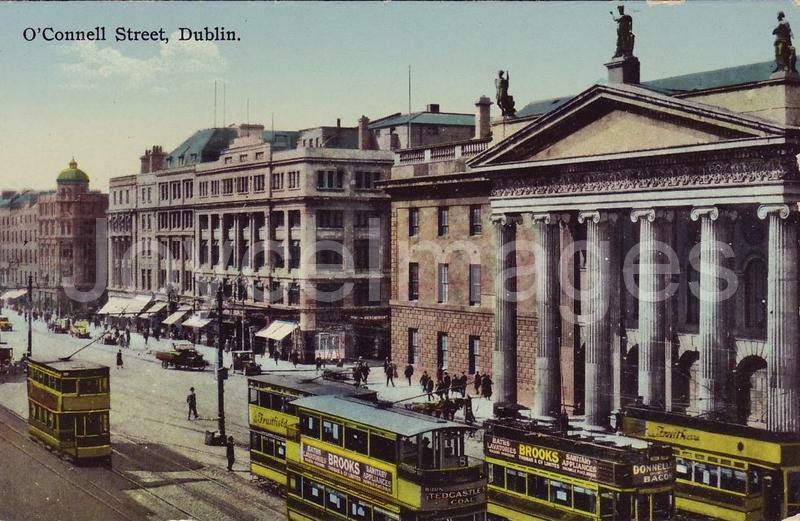 'Dublin' (SOF, 1907) says of the GPO: "This handsome edifice was erected, from the design of Francis Johnston, at the moderate cost of £50,000. The foundation stone was laid by the Lord-Lieutenant, Charles Earl of Whitworth, on August 12th 1814, and the office opened for the transaction of business on January 6th 1818." Architect Francis Johnston (1760 - 1829) also designed St George's Church, renovated the Viceregal Lodge, and helped plan the layout of Sackville street.